These pipes are made from the tagua palm, also known as ivory or ivory-nut palm. 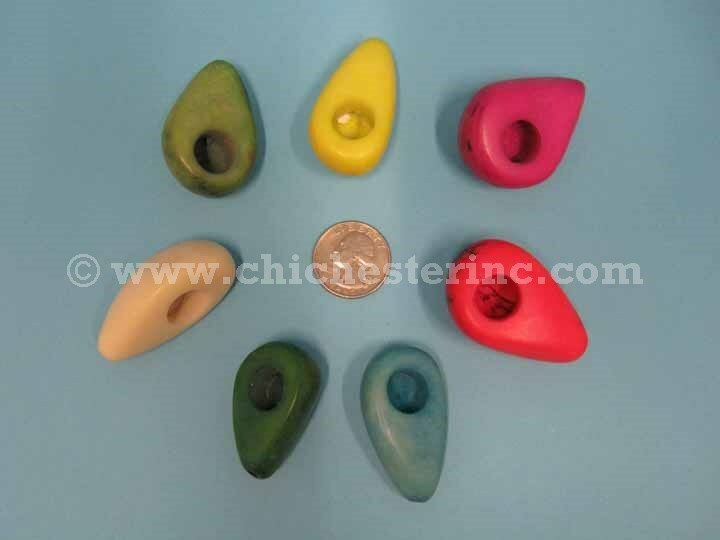 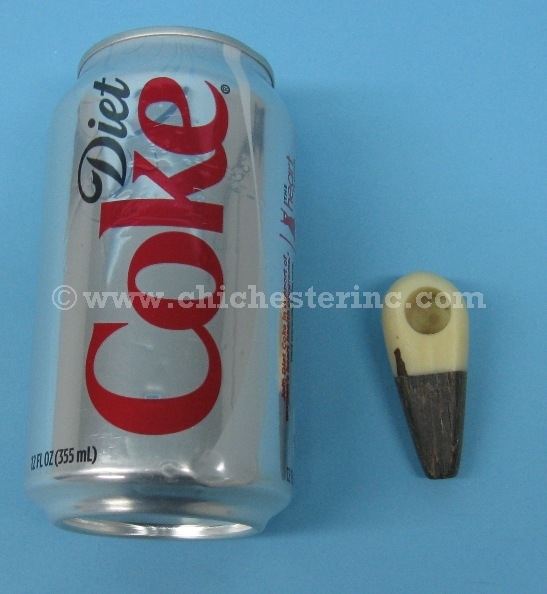 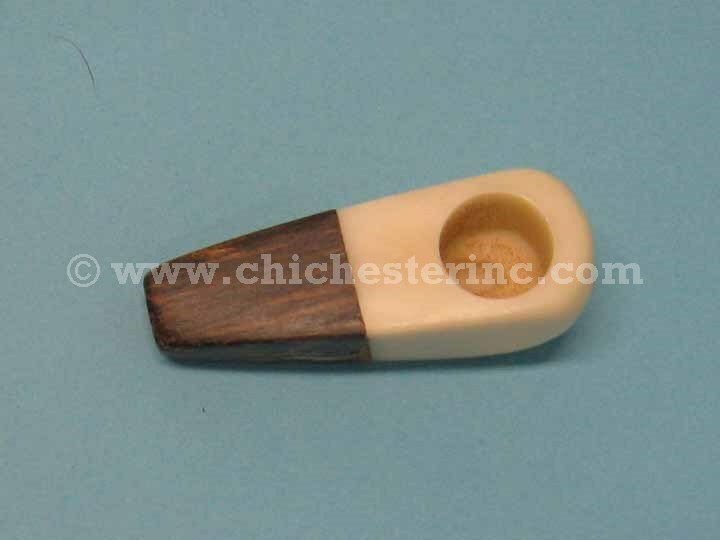 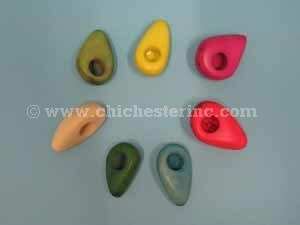 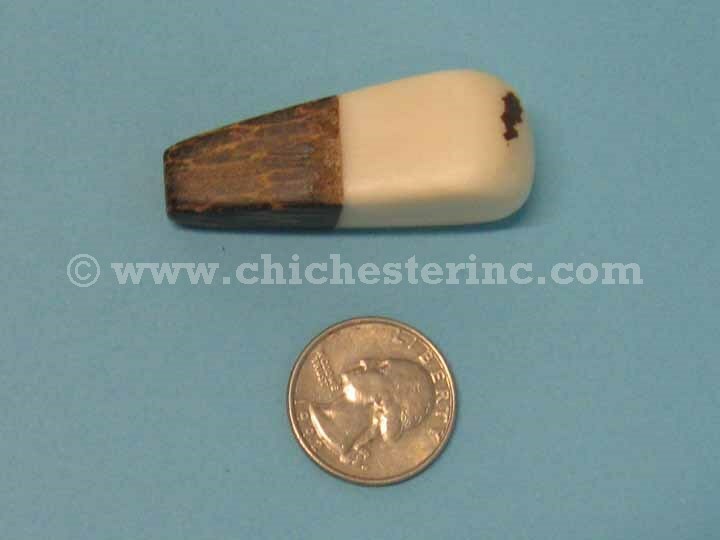 The pipe bowl is carved from tagua nuts and the stem is the wood from the tagua palm. 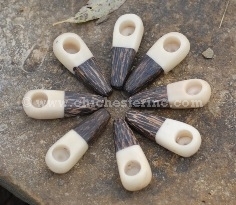 Tagua nuts are often substituted for elephant ivory. The pipes are approximately 2.25" long, 0.75" wide, and weighs 0.6 oz.